The American rapper known around the world, Jay Z, has been forced by his opponents and competitors to speak up like he never did before. Jay Z is also an entrepreneur and record producer. He’s considered one of the best-selling artists this world has seen to date and with more than 100 million records sold he is one of the best rappers from America. He also has 19 Grammy Awards in his pocket for his work. Jay Z has recently launched Tidal. Tidal is an online service meant to allow users to stream music but on a subscription basis. Furthermore, this particular service will be owned by artists. According to Jay Z this is an effort made by him to remove the middle man and give public what they want in its finest form. However, things are not as easy as one thinks when he steps in business with several competitors in the surroundings. Right after the launch of Tidal by Jay Z critics held their critiquing guns and start firing at this newborn name. According to the critics this is an attempt by Jay Z and other stars who attended his conference for Tidal to make money. By removing the middle man the artists are actually making way to earn money and become richer. Jay Z must not have liked it at all and this is why he’s done something that he does not do very often – he tweeted. Jay Z has been known for a quiet artist on Twitter. The most astonishing thing about his Twitter account is that he is not even following his own wife Beyonce. However, this time Jay Z was forced to speak up. He spoke vehemently in defense of his subscription service in a stream of many tweets. Jay Z tweeted in a very unique manner by giving his tweets a headline of “stream of consciousness”. In his first tweet that he posted in defense of his subscription service he said that Tidal had 770,000 subscribers and that this is enough for him. He said he believed that his subscription service was doing fine. He further talked about iTunes and Spotify and said that these companies too took their time in becoming something big. From his tweets it seemed that he was constantly addressing the critics. In one tweet he said that Tidal had arrived on the scene to be a service that would last for a long time. The fans are already subscribing so his “give us a chance” statement seems more directed at the critics. 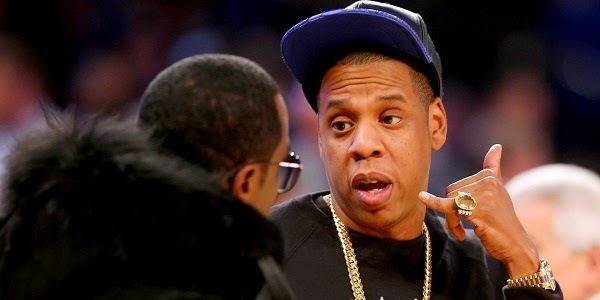 Jay Z was clear in stating that the big companies that are not competitors of Tidal are actually deliberately trying to malign the existence of his service. He stated clearly that the big companies were actually spending their money on giving a bad name to Tidal rather than spending it on their own promotion. He clarified the position of Tidal by saying that this particular campaign was not against anyone and rather an effort in support of the hard working artists. Jay Z has also been quite firm about his stand for Tidal being a service for fans. The main concern for critics is that this service is not meant for fans but for making artists rich by putting the money from the pocket of the fans right into the pockets of the artists. Jay Z stated that this particular service was not only for streaming music but for a lot of other stuff. He said tickets for events, videos, live sports etc. were also part of the service. He further said that indie artists are allowed to keep the possession of their work by working directly with Tidal.